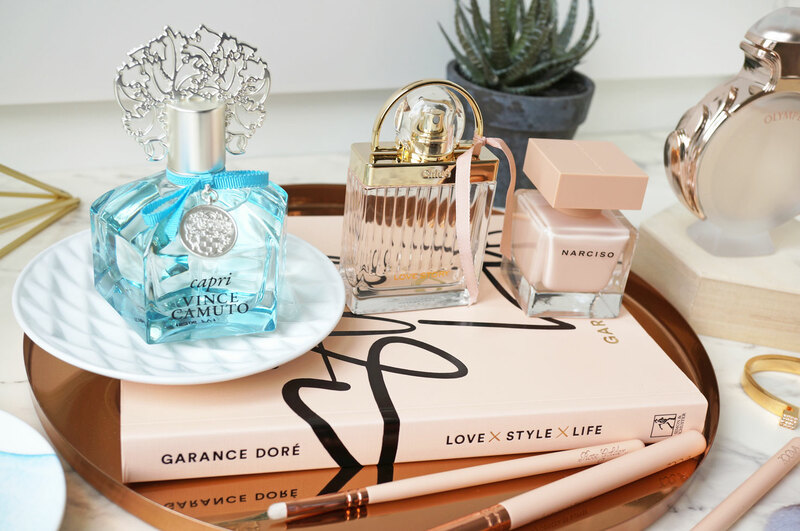 Starting with Capri Vince Camuto EDP – this is actually my first experience of Vince Camuto fragrances, and I wasn’t entirely sure what to expect. When I took the bottle out of the box I was wowed by how unusual it was. The bottle itself is a curious hexagonal shape, with a striking ocean blue hue. The lid has an intricate cut out detail almost like abstract leaves, and the bottle is finished off with a delicate blue bow and silver charm around the neck. A wanderlust at heart, the Capri Vince Camuto woman is in love with the world and all it has to offer. When she’s travelling, colours seem brighter, sounds sharper, senses ignited with a zest for life. No matter where she goes, Capri Vince Camuto is her passport to adventure, a reminder of spontaneous summer days and sultry nights. Capri Vince Camuto is a warm, yet fresh and invigorating fragrance – reflecting the coastal landscape and waters of Capri, Italy. The scent’s top notes of Pear and Pink Grapefruit mingle with a floral bouquet of Peach Blossom and Violet Flower at the heart, leading to a rich base of Musk and Vanilla. Like a cool Mediterranean breeze, this floral-fruity fragrance transports your senses. Imagine the warmth of sun-kissed skin, with the freshness of a cool breeze on the skin. Top Notes: Violet Leaves, Juicy Pear, and Pink Grapefruit. Heart Notes: Red Frangipani, Peach Blossom, and Violet Flower. Base Notes: Musk and Vanilla. Capri Vince Camuto is £55.00 for 100ml at Debenhams. …In the palm of her hand, a lucky charm. A padlock, universal symbol of love, a treasured emblem of the maison Chloé. A glass jewel adorned with grooves that evoke the pleats in a wispy dress. In the middle, safely protected, a concentrate of this tenderly rosy fragrance that she keeps with her at all times. Its elegant matte white case, embossed with gold letters, is circled with a delicate pink ribbon that holds the finest present: a love story, refreshing and sincere…. Love Story EDT is basically a fresher and more floral version of the original EDP. It’s romance in a bottle! The scent opens with fresh and floral Orange Blossom, mingling with green Prunus Flower and a dewy floral accord. This fragrance is pretty, carefree, fresh and feminine. Heart Notes: Fresh Prunus Leaf. Chloe Love Story EDT is from £41.50 for 30ml at John Lewis. NARCISO eau de parfum Poudrée embodies a discreet luxury with an intimacy that lingers on a woman’s skin leaving a silken trail. Skin and scent become one and the same, radiating beauty and grace. The fragrance leaves a deep impression as the fragrance dissolves into a woman’s skin and as a memory that lingers. Top Notes: Bulgarian rose, White Jasmine and Orange Blossom. Base Notes: Vetiver, Cedar, Coumarin and Patchouli. Narciso Rodriguez Narciso Poudrée EDP is from £38.50 for 30ml at John Lewis. And lastly Paco Rabanne Olympea Aqua EDT – I haven’t tried any new Paco Rabanne fragrances for a really long time, so I was excited so see what the new Olympea Aqua would be like. Firstly, the bottle is stunning! 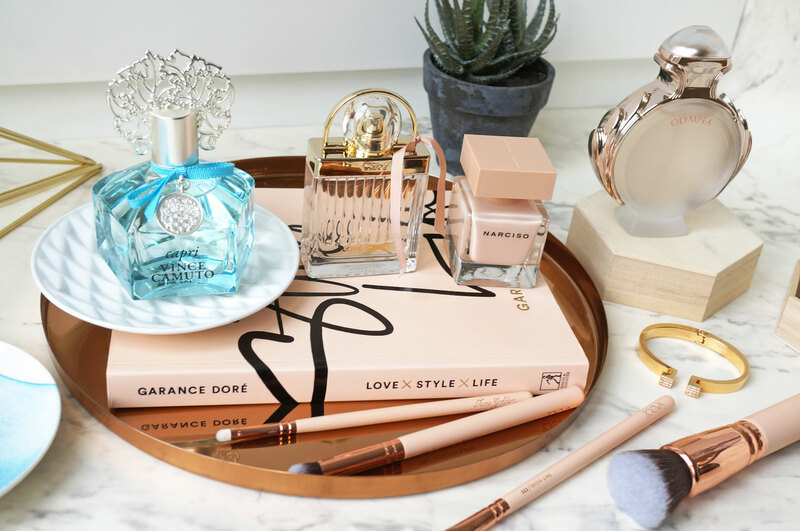 Just like the original Olympea fragrance, Olympea Aqua has the same shaped bottle – based on a laurel crown it makes you think of a modern greek goddess, but this time the glass is frosted. Paco Rabanne brings back the trend of aquatic fragrances with editions inspired by the athletic spirit, competition and victory, Invictus from 2013 and Olympéa from 2015. The new releases Invictus Aqua and Olympéa Aqua further emphasize the aquatic character of these compositions. Olympéa Aqua opens with the freshness of Calabrian bergamot, aquatic accords and Petitgrain that lead to the heart of Ginger Flower. The power of the fragrance is reflected in the base of Salted Vanilla, Ambergris and Cashmere Wood. Top Notes: Calabrian bergamot, Water Notes and Petitgrain. Base Notes: Vanilla, Salt, Ambergris and Cashmere Wood. Paco Rabanne Olympea Aqua EDT is £53.50 for 50ml at The Fragrance Shop. 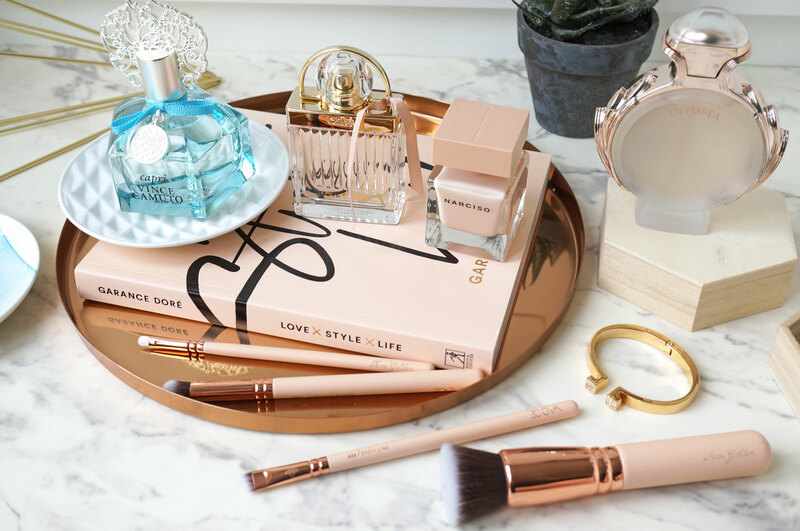 NEW Beauty Releases from Bourjois!